Did you know there are about 269 billion emails sent and received every day? With such a huge number of correspondence, email marketers are always on the lookout for new ways to stand out from the crowd, increase click through rate and conversions. In this regard, visual content is marketers’ best friend. It catches user’s attention right away and helps you build a meaningful connection. There is one type of visual content that proves to be especially effective – GIFs. Let’s see why and how you can implement them in your email marketing campaign for more engagement and results. Probably, we are all familiar with what a GIF is. It stands for Graphics Interchange Format and is a special “animated” image format developed in the late 1980s. Today, GIFs have become a powerful marketing instrument, for a number of reasons. And while it only seems natural to be using GIFs on social media, where the conversation is less formal, adding them to your email campaigns makes perfect sense, too. Here’s why. By nature, human beings are hardwired to notice things that move. GIFs bring this element of engagement to emails. Besides, unlike video, GIFs require no commitment or effort on the viewer’s part, as animations are so short and loop continuously. If you want to make your email campaign more funny or relateable, animated GIFs might be perfect for the job. Most people use GIFs themselves (notice how popular messengers now have an option to search for and send GIFs), so they love it when brands “speak their language”. GIFs are particularly helpful when it comes to demonstrating functionality of a product. Instead of adding a lengthy explanation of a new feature, making a short GIF can show off your product in more detail than a still image or text. What kinds of GIFs should you be using in your email marketing campaigns? Using GIFs in emails adds a pinch of surprise and delight. However, you don’t want to overuse them, as your customers might grow tired of “same old” content. Here are some types of GIFs that you might want to try first. GIFs can give your emails a special, emotional touch. If you want to build a personal connection with your audience, inserting a GIF into an email is the way to go. Even if you think using GIFs is a little juvenile for your company, you might want to reconsider. References to popular culture are not the only type of GIFs to embed in an email. Think of other creative ways, like saying “thank you” for a purchase or transmitting a “We are sad to see you go” message when a user unsubscribes from your email or service. When it comes to product demo, GIFs do a much better job than a static image or let alone a text. Since GIFs operate as a mini-video, they can simply explain more in less time by showing. This principle works great for any types of companies, including SaaS and ecommerce. 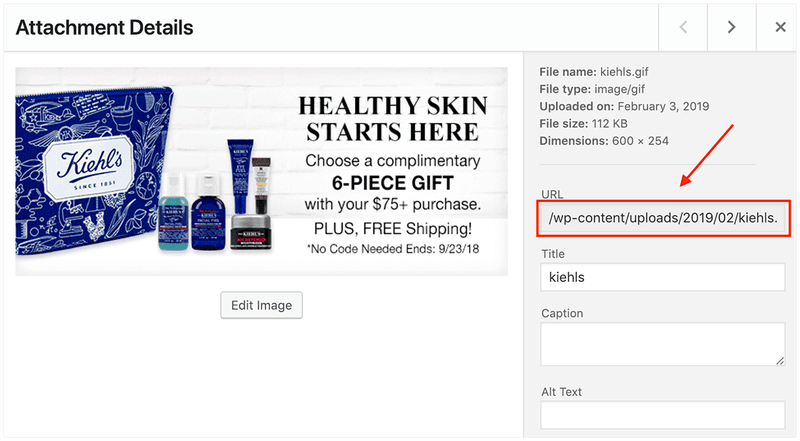 Here’s how Kiehl’s showcases their range of products by embedding a GIF into an email. Scarcity is one of the 6 pillars of persuasion, says the founder of modern marketing Robert Cialdini, and limited time offer is a way to demonstrate it. If you are running a promotion with an end date, let your users know when it’s over by adding a countdown timer to your email newsletter. This works especially well for bigger sales like Black Friday or Cyber Monday, when people expect companies to run promotions and are ready for them. Now that you’ve learned what types of animated GIFs you might want to be using in your emails, how can you actually embed a GIF into one? Since a GIF is technically an image, you might want to treat it the same way. In order to be able to use a GIF in your email campaign, first you’ll need to upload it to your server. For instance, if you host your website or blog on WordPress, you can simply upload a GIF by clicking the “Add media” button. Similarly, you can use other media hosting providers, like Amazon or even Google Photos. However, I wouldn’t recommend using free image hosting providers. Your GIF might be deleted from the server, therefore becoming unavailable in the email that you embedded it into. Once you’ve uploaded your GIF to the server, you now have a link that you can use in the email. Just like you would do with still images, insert this link between the <img></img> tags in the email HTML file. Don’t forget to link the GIF back to your website to drive traffic! You don’t have to be a professional designer with advanced knowledge of Adobe Photoshop to make a GIF for an email. Luckily, there are many tools available online that can help you with the task. Here are some of my favorite. 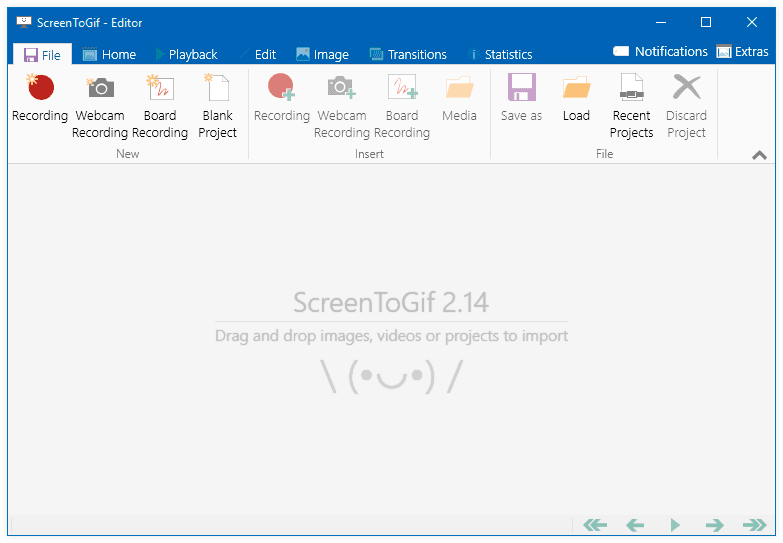 ScreenToGIF is a free downloadable tool that allows you to record your screen and then turn this recording into a .gif file. Some of the cool features also include board recording (where you can basically record drawing on a whiteboard) and editing both your own and imported GIFs. The tool is available for Windows. Similarly to ScreenToGIF, Recordit allows you to record parts of or the whole screen and then create a GIF out of the recording. It’s available for free both for Mac and Windows. Ezgif allows you to upload a sequence of images and turn them into a GIF. You can also upload a video, and the tool will convert it into a .gif format. When you are making a GIF for your email campaign, make sure you don’t make it too big and “heavy”. If the .gif file is too big, email providers might simply not deliver it to your recipients’ inbox or it might hit the Spam folder. Moreover, your hosting provider might have certain limitations to file size, too. So keep it sweet and short. If you want to go with something different than a screen recording for your email campaign, there are several websites where you can find ready-made GIFs on just about any topic. 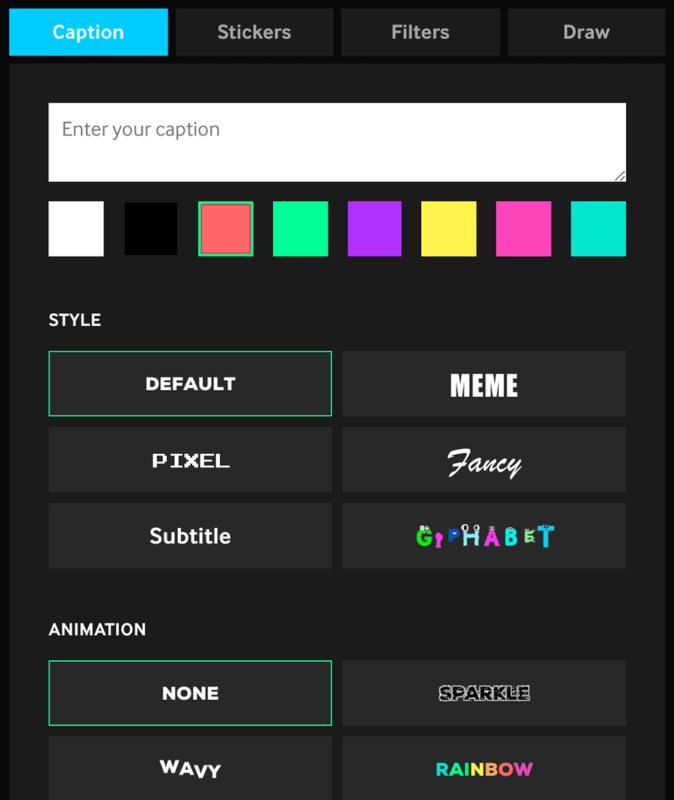 Giphy is perhaps the most famous GIF library on the Internet and the go-to source of all things GIF. In addition to the huge GIF collection, the website also allows you to upload and host your own GIFs. Tenor is very similar to Giphy: it’s a collection of GIFs that you can search. On a side note, it’s also very popular for its GIF keyboard. Using GIFs in your email campaign is a powerful and oftentimes underestimated marketing instrument. By adding a fun or informative GIF to your emails, you build a meaningful connection with your audience and show the brand from a more personal side. Are you using GIFs in your emails? Share in the comments below!